It’s the most wonderful time of the year until the stress of gift giving comes in. 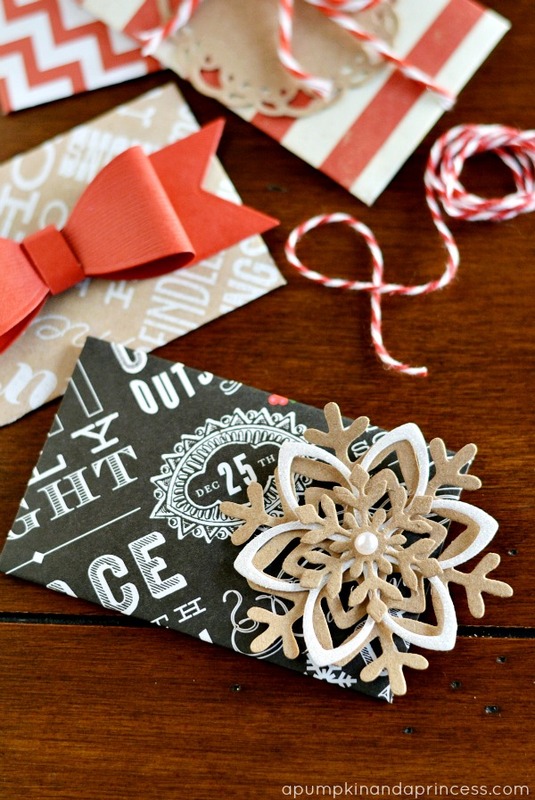 Take out the stress and add in fun and love with these ideas for DIY Christmas Presents! Now that Thanksgiving has passed the next magical holiday is on my mind and I bet it’s on yours too! One of my favorite things about Christmas is giving gifts. I’ve always been a gift giver and not just a “Oh, this will work!” and grab something off a store shelf gift-giver. Nope. I pride myself in trying to pick the perfect gift for the perfect person. One of my favorite things to gift, though, is DIY gifts. They are fun to make, can really be personalized, and mean so much to the recipient because of the time and love you put into the gift. It’s also a perk that they usually work out to be more affordable than even cheap gifts you find on store shelves. So this year, I want to inspire YOU to get crafty and heartfelt when you’re gifting to your family and friends with these ideas for DIY Christmas presents! There’s quite a variety of ideas so there’s definitely something for everyone on your list. 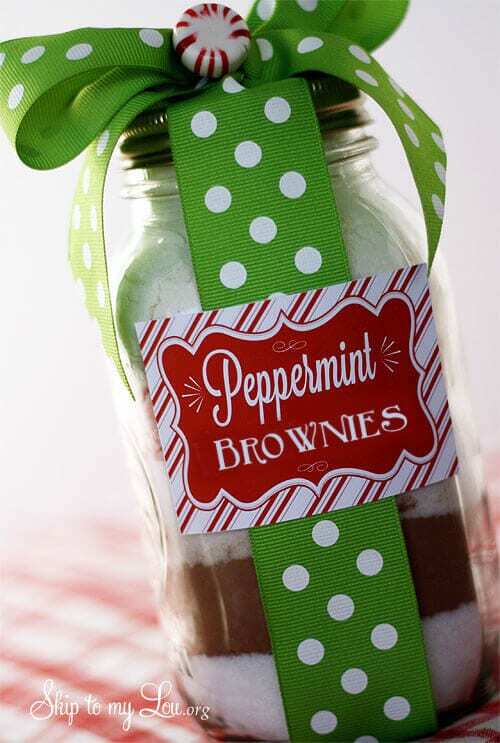 Package peppermint brownie mix in a mason jar, for a simple and chic edible gift! Each element in the dry mix is layered. There is a free printable included that has the directions on how to make them! Get the full instructions on I Heart Naptime. Food is one of my favorite things to give because… well, everyone loves it! I also just love baking around the Holidays so these Peppermint Mocha Truffles are one of my favorites to gift. I made these for my girls’ teachers last year [so it comes with a free Teacher gift printable] but they’d also make the perfect idea for neighbors, mail carriers, and anyone on your list! Get a watercolor swirl on coffee mugs for a simple DIY gift. Speaking of nail polish – how many of you love Jamberry Nail Wraps? Although I don’t sell them anymore, I’m still a Jamberry girl at heart and I still love to gift them to friends. I’ve got a few different fun ways to do that around Christmas with these DIY Jamberry Gift Ideas including an adorable “Mistletoes” ornament. Grab jelly canning jars for this candy cane bath salt mix. The ingredients are simple and made with dry ingredients. There is a free printable set of directions. For a low budget gift, create this caddy that would be great for an office or teacher. It includes things like a mini notepad, pens, tape and more. Gift cards are great because they allow a person to buy what they want. Personalize a gift card with these cute DIY gift card envelopes, that can work for any time of the year! Give a relaxing gift of a variety of pampering gifts in a pair of slippers. Ideas include chapstick, chocolate, nail polish, and more! Fill a Pringles jar with cookies in this simple DIY gift! Peppermint is great for winter. This layered sugar scrub is relaxing and moisturizing. It’s made with only a handful of ingredients and peppermint essential oil. In this kid-friendly gift, paint a reindeer on a mason jar filled with sweet treats. 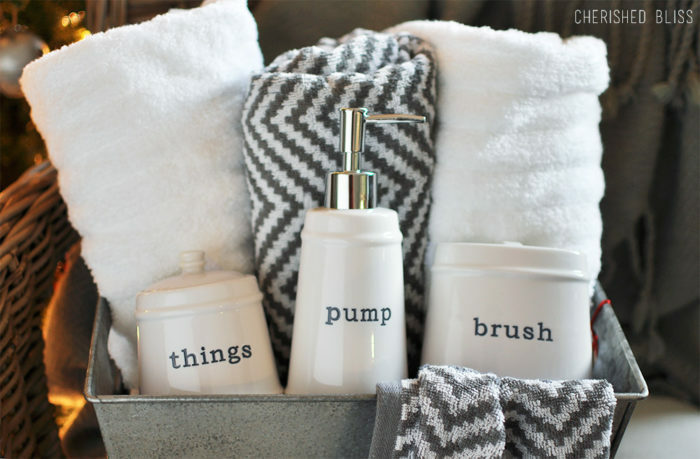 I love a good play on words and this fun DIY Teacher Gifts idea comes off the idea of being an “Extra” special teacher. It even comes with a free printable for a quick, adorable idea for your children’s teachers. For anyone on your list, make gifts in a jar! From an “orange theme” to a “guy theme” and “sweet tooth” theme, these gifts can be easily customized according to your budget and the person! Throw this house-friendly gift together for a last minute, right before Christmas type of gift. There’s nothing better than a delicious tray of Christmas cookies. Along with peppermint truffles, peppermint mocha brownies, and Rocky Road Fudge… I love to add in a variety of Christmas cookies for DIY Christmas presents for special people on my list. Hopefully a few things on this list will stand out to you for someone on your list! I hope you find the excitement and love in creating something special when you choose to DIY Christmas presents for your loved ones this year! The last minute, house-friendly gift would make a lovely hostess gift! These are some great ideas. Iespecially like the Jamberry Jars and the Peppermint Mocha Truffles. Thanks! I love the Slipper gift idea. It’s something I’d love to receive myself! I also love the cookies in a Pringle can – awesome way to recycle! 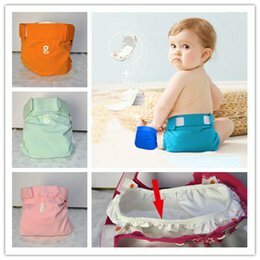 Adorable ideas!! Those truffles look seriously AMAZING!!! Love the swirl mugs too! !